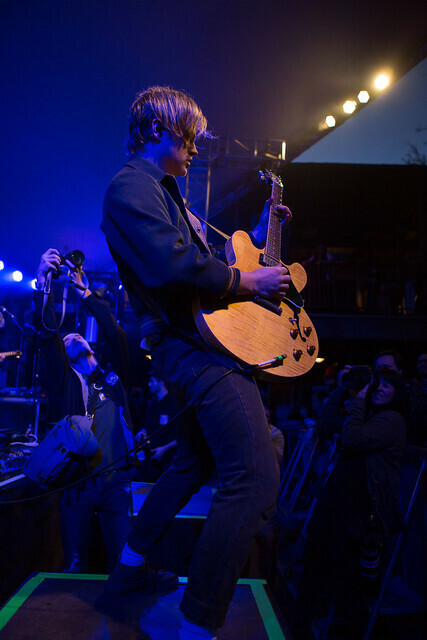 The first day post-SXSW with Colony House at Stubbs Reviewed by Yvan Nguyen on March 21, 2019 . The first day post-SXSW, the weather was just perfect in Austin, Texas. The sun was out, but not too hot – just the weather that makes you want to dance around out of pure joy. 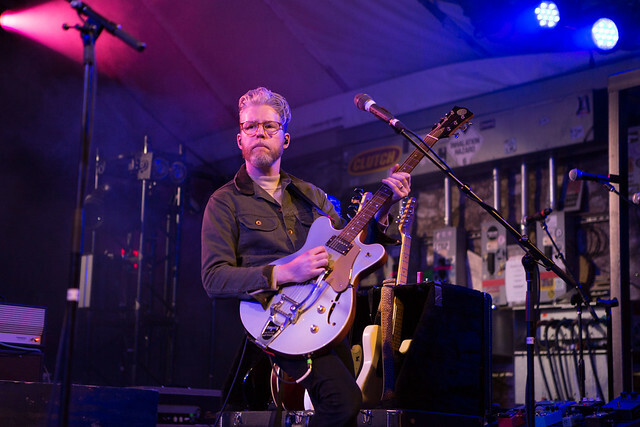 Many Austinites (along with those who drove in from Waco, College Station, and San Antonio) gathered at Stubb’s to enjoy an evening of music. 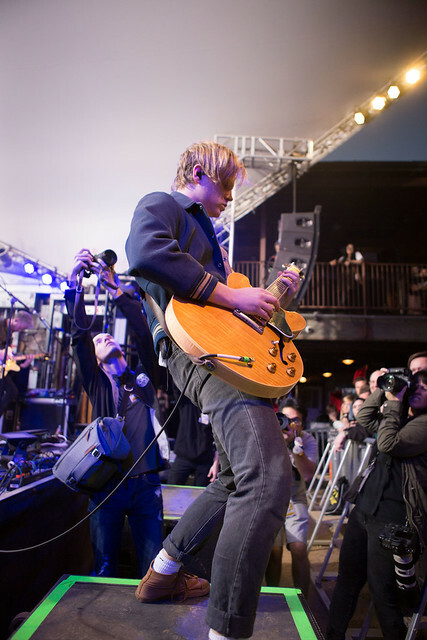 With a beer in-hand, it felt like the perfect way to end the past hectic SXSW week. Earlier that day, Instagram shared what I posted exactly two years ago – which was a photo with the band after seeing them perform for the very first time at SXSW. Having seen Colony House six or seven times before, I knew the treat I was about to experience that night. 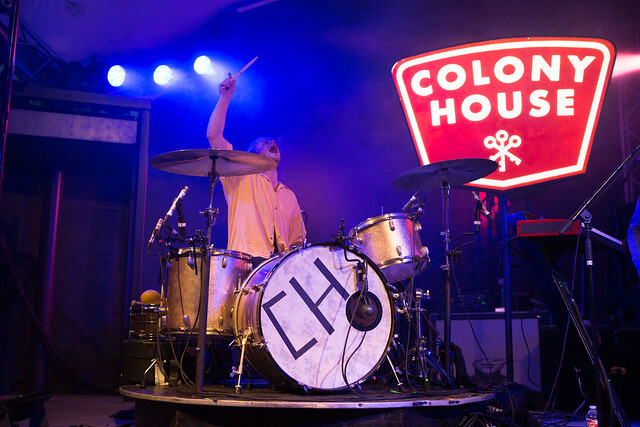 Colony House is an American indie rock quartet consisting of brothers Caleb Chapman and Will Chapman, Scott Mills, and Parke Cottrell. Caleb and Will are the sons of the musician Steven Curtis Chapman. Hailing from Franklin, Tennessee, the group creates driving and uplifting guitar-based rock. 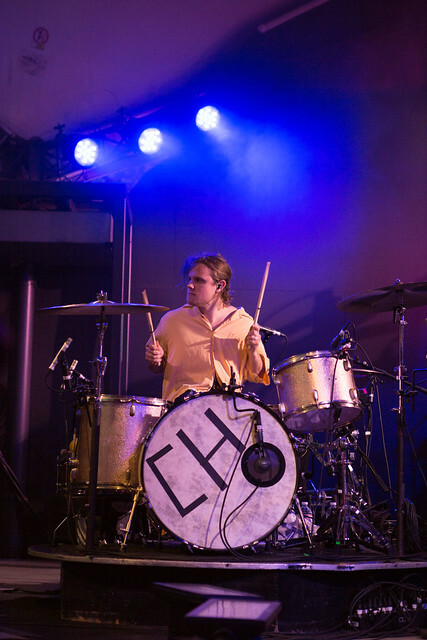 The group originally began in 2009, while attending high school together as a trio with Caleb, Will, and Scott under the band name Caleb. They forged a bright indie sound from influences from U2 and the Cold War Kids. 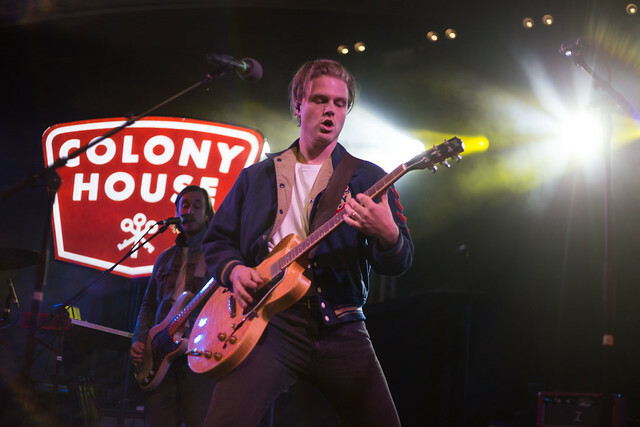 The group changed their name to Colony House in 2013, inspired by an apartment complex from their home of Franklin, TN, where all three musicians had lived at one time or another. 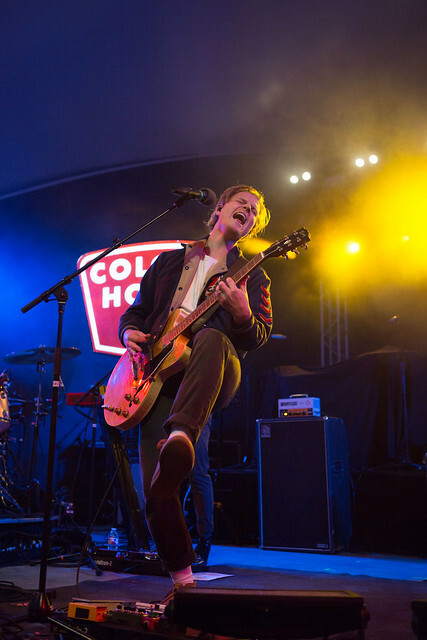 Colony House self-released three EPs before their debut album, When I was Younger in 2014. Their lead single from the album, “Silhouettes” was picked up on radio stations and topped many charts. The group toured with Needtobreathe, Ben Rector, and Drew Holcomb and The Neighbors. 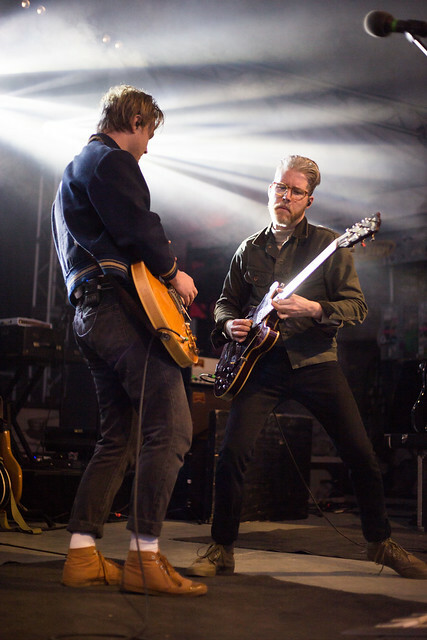 In 2017, the group released their second studio album with RCA Records, Only the Lonely and later went on a headlining tour with supporting guests Knox Hamilton and Deep Sea Diver. 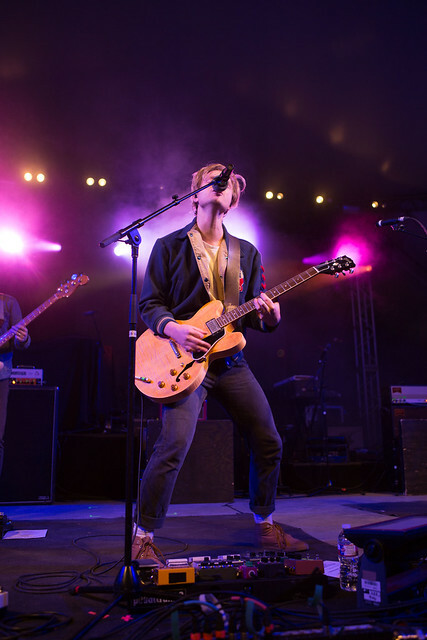 This past fall, the group headlined with Tall Heights and The New Respects across 28 dates. Currently, the band is on tour with Switchfoot with over 25+ dates, giving their all each and every night. As the sun began to set, the band began took the stage and started off their set with “You & I.” Loved for its high energy and catchy chorus, the song was a great way to open their set with. The audience bopped their heads along while enjoying a beer in-hand. Out of all the Colony House shows I’ve attended, I really enjoy that this evening had the most dialogue from Caleb. He shared bits and pieces behind some of the songs or about the band. “This next song is about the things that happen when you really least expect them… such as our favorite band Switchfoot asking us to go on tour. That caught us by surprise,” said Caleb with a chuckle and proceeded to play “Caught Me By Surprise”. “This next one is about a crush I had… when I was nine,” he said. He shared a touching story about how this crush started in the school cafeteria and many years later, he is now married to this crush. The group played “Learning How to Love” as the audience swayed and sang along. Particularly fond of the group’s ability to create heart-warming songs, I listened to them through some tough times over the past three years. Some favorites includes “Learning How to Love”, “Moving Forward”, and “Won’t Give Up.” Whenever I hear those songs live, it reminds me of the temporary pain I experienced but also my ability to get through them. The group ended on an energetic note with “You Know It” composed of some killer drums and guitar parts. This song makes you want to get up a dance and it surely made the audience do so. 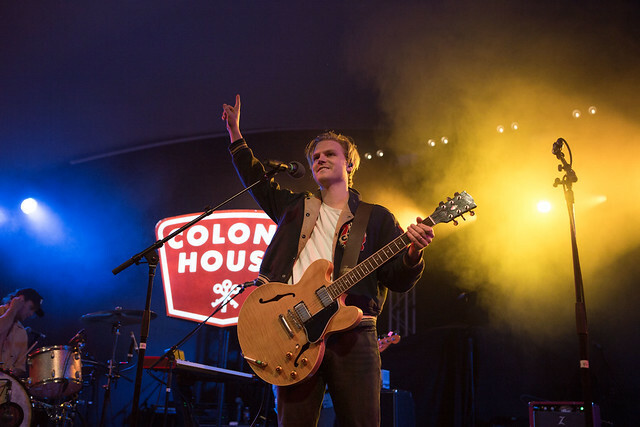 The next chance you get, be sure to catch Colony House live for a treat. 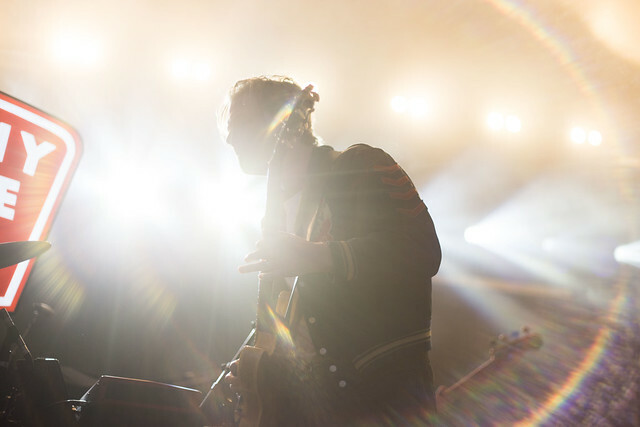 Switchfoot – The Native Tongue Tour – Portland, OR.